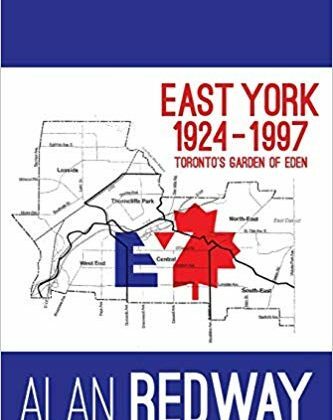 The book tells the story of East York from its incorporation as a separate municipality on January 1, 1924, made necessary as a direct result of the incorporation of North York in 1922, up to and including its amalgamation on December 31, 1997. Alan Redway is a retired lawyer, born in Toronto, with a degree in Commerce and Finance from the University of Toronto and a law degree from Osgoode Hall Law School. Mr. Redway served for ten years on the council of the Borough of East York, six of those years as the Mayor of East York and a member of Metropolitan Toronto Council and Executive Committee. Later he was elected to the parliament of Canada where he served for almost ten years as a Progressive Conservative member of the House of Commons and as Minister of State (Housing). He has written for Leaside Life and the East York Chronicle. In 2014 he published his first book, Governing Toronto: Bringing Back the City that Worked.